"Tyrolean Spring" by Paul McGehee. A beautiful and colorful early painting by the artist, painted at the age of 11. This is a scene in the sprawling Fassatal region of Tyrol in the Dolomite Mountains shared by Austria, Italy, Switzerland and Germany. It is a favorite of skiers and vacationers from all over the world. 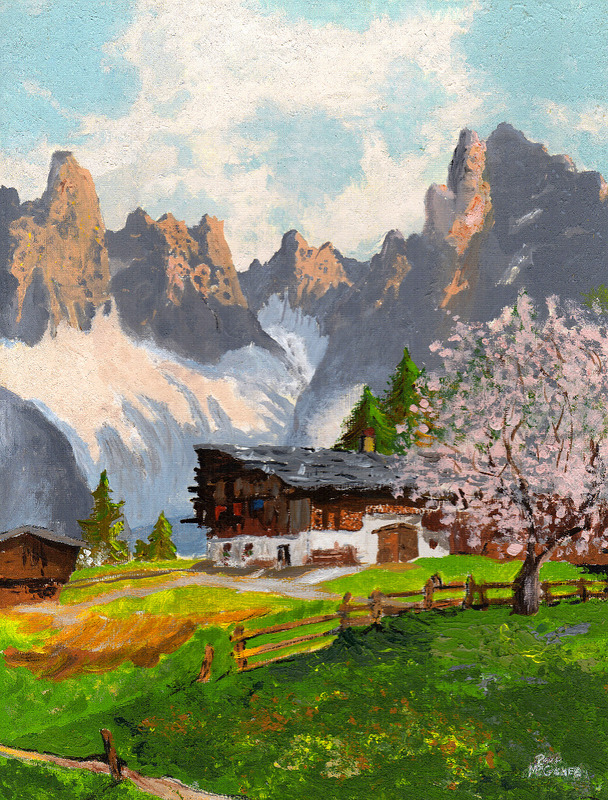 "Tyrolean Spring" is faithfully reproduced from Paul's original acrylic painting in a limited edition of 2,000 hand-signed prints.